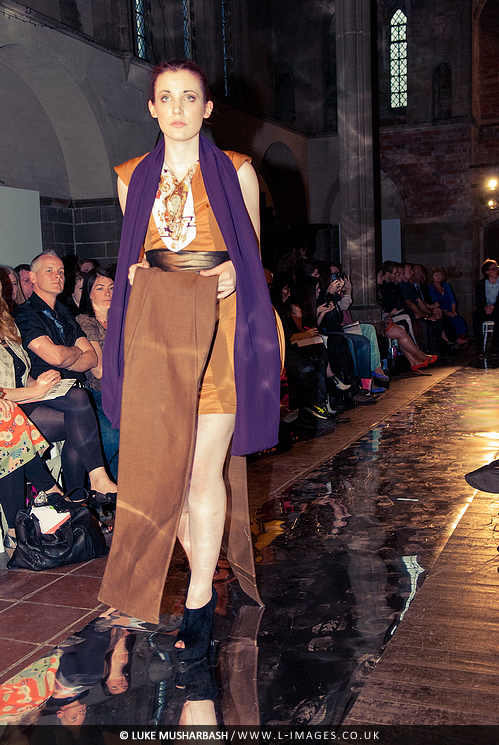 Zara Mia Parmar's graduate fashion show was at the Left Bank Centre. The In Pieces womenswear Autumn/Winter 2014 collection was showcased. The location was a church which reflected the collection very well.